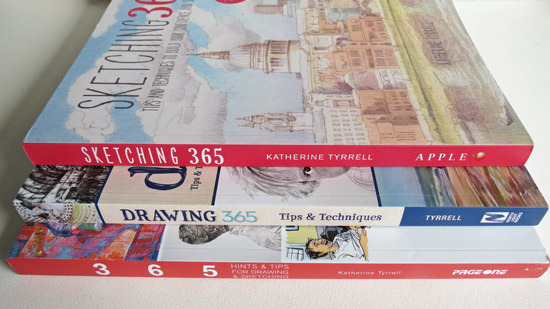 Two more of my book reviews for The Big Drawing Book Review. 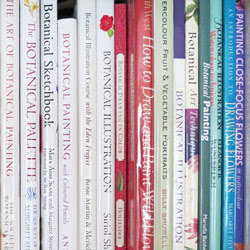 These two are about books which provide advice on developing an artist's sketchbook. They adopt a different approach to looking at how an artist approaches choosing and using a sketchbook. 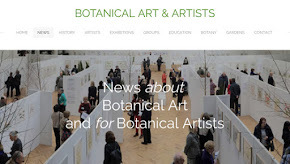 Both will be of particular interest to those who use watercolour. Describing how you produced a sketch shouldn't be difficult for most artists who sketch as the actual process of sketching generally etches both the place and the approach indelibly in your mind - which is, of course of one of the very best reasons for sketching! Now I know this book has at least one dedicated fan who maybe will comment some more below. Here's what Laura (Laurelines) had to say about Albany Wiseman recently following a workshop holiday in France. 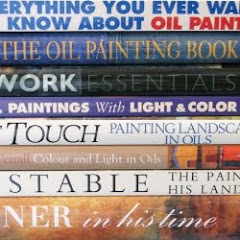 My teacher was the adorable Englishman and renowned painter Albany Wiseman, whose many books I'd owned and whose work I'd already deeply admired. Albany is a consumate draftsman. It was his use of drawing in painting that I felt resonated with my own approach and why I chose his workshop over others. Albany is a very generous teacher, giving lots of individual attention and demonstrating his own techniques on site. I learned a lot from him and am in the gradual process of incorporating what I learned. 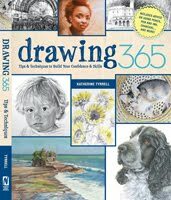 Albany Wiseman's book sets out to show how a sketchbook can be used. He starts by discussing the reasons for keeping a sketchbook and then looks at materials and media which can be used for sketching. He then tackles subject matter with a short and well-informed introduction to each section and then provides notes against each sketch - which are done in a variety of media. For each subject area he also provides a demonstration of a how a sketch can be translated through to a finished painting with comments on adjustments made en route. 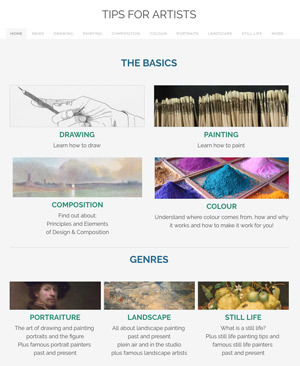 He also includes some basic instruction about sketching basic shapes, drawing complex shapes in perspective, sketching with oils and acrylics, media for landscape sketching and exploring composition. his wonderful sketches using different media. I liked the fact that he includes all the loose and 'sketchy' ones and not just ones which look more 'finished'. he's drawn on a lifetime of sketches, even including ones done in the same place 50 years apart. It's interesting to see how his style developed over time. 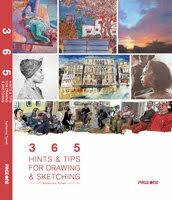 the detailed 'making your own sketchbook' section is something you don't often find in books about sketching. the small 'tips boxes' made it easy to see key points 'in a nutshell' and are very useful. Like a musician, an artist needs to practice every day amd a sketchbook is an ideal place to work on your observational and drawing skills. In time you will learn to select and simplify so that you can encapsulate an attitude, a pose or a movement in a few lines. Sketching regularly also improves visual memory and manula dexterity, enabling you to make accurate and rapid records of the subjects that interest you. 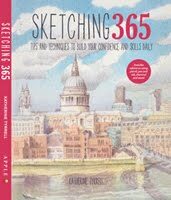 The approach adopted by Michael Woods is to discuss why sketching is a good idea in the Introduction. He then covers sketchbooks and papers in Chapter 1, drawing materials in Chapter 2 and then, in Chapter 3, he provides examples of his own sketches of a wide range of subjects in a variety of media. He also provides some limited technical notes and a glossary at the end. The subject matter covered by Chapter 3 can be detected on the Contents page but doesn't appear to be very organised as to any bigger themes - in contrast to Wiseman's book. His book is written in an essay type style - which makes scan reading for tips and important points rather difficult. Nevertheless it's a good read and might well be preferred by those people who don't like their text broken up into boxes and bullet points. All books which discuss media and materials face the inevitable problem that these references can become dated after publication. This book is no exception and includes out of date references to Karisma pencils which are no longer available. I particularly liked the way that all his sketches are annotated with relevant details of size and type of paper and materials used. He then describes the process used for each sketch. If you're learning, it makes so much more sense of a sketch when you can see what somebody has used and understand how they set about each sketch. Unfortunately, the quality of the narrative - which is excellent in places - can vary and he doesn't always relate the bits of information which might be ingrained for him but would be novel for a student. Of the two books, each has its particular merits and the individual style and approach are each likely to have their fans. I think on the whole I'd favour the Wiseman book as I personally found the structure of the book to be much more helpful and it was also a much easier read. I also preferred his sketches - but that's just a personal thing as they are both experienced artists. Overall I'd give Woods a 3+ pencils rating and Wiseman a 4+ pencils rating. 1) Albany Wiseman studied at St Albans School of Art, and has worked as a professional artist since 1952. His career covers many different aspects of art, from book illustration and posters to limited edition lithographs. He exhibits his work regularly at one-man and mixed shows throughout theworld and produces limited edition prints of mainly architectural subjects. He has work in the Tate Collection. Since 1990 he has taught throughout Europe, contributed to practical publications and currently teaches workshops for Arts in Provence. 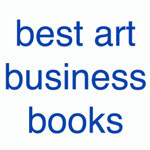 ‘The Artists Sketchbook’ was published in 2002, followed by ‘Drawing Solutions’ and ‘Watercolour Solutions’. 2) Michael Woods was Director of Art at Charterhouse School where he taught for many years. Trained at Norwich School of Art and the Slade School of Art, he is an established painter and has exhibited widely. He is the author of five books, including The Complete Drawing Course, also published by Batsford. Oh, I do love Albany's book! It is simply gorgeous as a book on its own, but also wonderfully helpful and informative. It's my favorite of the genre. I had not heard of the other one you mention. I keep thinking how much I'd like to participate with you in these reviews, but life keeps coming up with other ways to spend my time. I think about this subject you're brought up a lot, though. Thank you for another great post, Katherine.